Click/tap a booking block and select the "Delete Booking" icon from the pop-up menu. You'll then be prompted to confirm that you wish to delete the selected booking. If there's an email address associated with the booking's client, you'll also be offered the option to send a cancellation notification to the client along with an optional reason why you're canceling/deleting their booking. Click/tap a booking block and select the "Delete Similar Bookings" icon from the pop-up menu. A window will open allowing you to specify the criteria that MIDAS should use to locate similar bookings to the one you've selected. 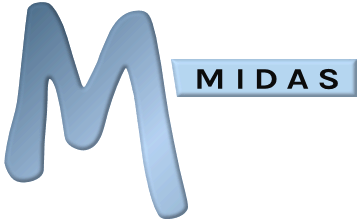 MIDAS will then search for and list bookings that are similar to the booking you've selected. Select from this list the bookings you wish to delete. MIDAS Knowledgebase: Why can't I modify/delete certain bookings?